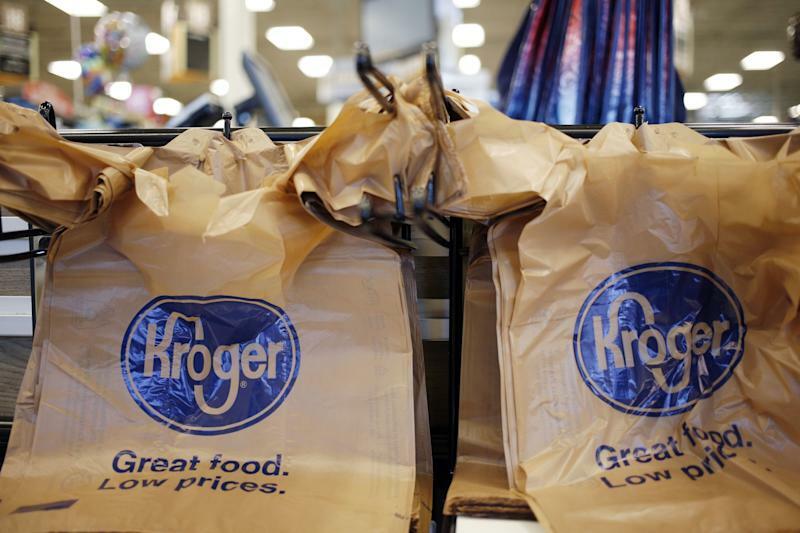 Kroger (KR, -11.57%) shares slid after the company provided an outlook for fiscal 2019 that fell short of consensus estimates. The grocer said it sees full-year earnings per share in the range of $2.15 to $2.15 per share, falling short of expectations of $2.28, according to Bloomberg data. Fourth-quarter adjusted earnings of 48 cents fell 5 cents short of expectations, and quarterly sales of $28.09 billion fell short of estimates of $28.37 billion. It also said its identical-store sales excluding fuel were up 2% for the full year 2019, below the 2.25% growth rate expected. Burlington Stores (BURL, -6.67%) fell short of Wall Street’s estimates for 2019 earnings, with the company delivering a guidance range for adjusted earnings between $6.93 and $7.06 per share for the year, versus estimates of $7.08. In the first quarter, the discount retailer expects to earn between $1.21 and $1.31 per share on an adjusted basis, with the upper bound 5 cents short of expectations. Full-year comparable sales are expected to grow between 1.5% and 2.8%, while first quarter comp sales are seen to be flat to up 2%. Revenue for the fourth quarter was $2 billion, slightly below expectations of $2.05 billion, while comparable sales growth of 1.3% was short of estimates of a 3% increase. American Eagle Outfitters (AEO, -2.6%) provided an earnings outlook for the current quarter after-the-bell Wednesday that missed consensus estimates. The teen retailer said it sees first-quarter adjusted EPS in the range of 19 cents to 21 cents, short of the 23 cents expected by analysts. The company’s fourth-quarter revenue of $1.25 billion was just below estimates of $1.25 billion, and full-year 2018 revenue of $4 billion marked new company record. American Eagle’s comp sales for the fourth quarter rose 6%, in-line with consensus estimates. Costco (COST, +0.35%) reports results after-the-bell Thursday. The company is expected to deliver adjusted EPS of $1.69 on revenue of $35.68 billion.